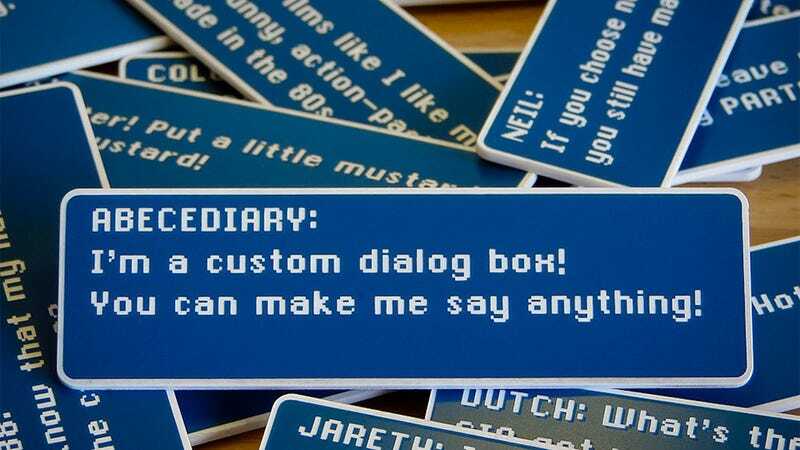 For the surprisingly generous price of just $8 a pop, you can order one of these cool-as-hell custom fridge magnets, designed to look like the dialogue boxes from Final Fantasy III on the SNES. Those who care deeply about authenticity should know that "The dialog box shape and border match the source measurements perfectly", and that the text is "not only set consistently with the originals, the line breaks are even exactly where they belong". Because they're made-to-order, they can say whatever you want, whether that be a warning to housemates, a recreation of a line from FFIII or, for JRPG purists, the always-important ".......".